Hello there, Inspired by . . . readers! Jonathan Graham here. I've high jacked June's blog to make a couple of announcements and brag a bit on June, since I know she won't do that herself! The big news this week is that Heart's Desire is now available on Kindle! Don't have Kindle? No worries, Amazon offers a Free Kindle Reading App for smartphones, tablets and PC's. Or you can read books instantly in your browser. Just go to Amazon.com for more information or to access the free downloads. For those of you in Texas, June is going to be at the Patrick Heath Public Library in Boerne, Texas on Saturday, March 1st between 10am-2pm. The library is hosting it's first Local Author Book Expo in the Community Room. The event will showcase the talent and diversity of local authors. Hope to see you there! Now if you'll allow me to brag on June a little. We're so thankful for the ladies that have come along side of us in helping to promote her work. These ladies have posted reviews of the books and, in some cases, sponsored giveaways of June's books. I know June has thanked you all personally. She really does appreciate each one of you. "More than anything, I enjoyed the scripture that saturated this book. In almost every circumstance, the characters turned to God and His Word for help. 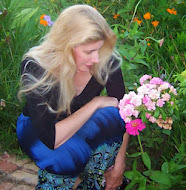 Starflower was written with great sensitivity toward the Holy Spirit and things of God." "I mentioned earlier the intelligence with which Starflower was written. It is a murder mystery/Christian romance. Both the romance and the mystery balanced each other fully, neither one drowning the other out. It takes skill to do that. Also, it made me think, trying to guess who the villain could be." We're recently added a new Paypal purchasing feature that allows you to buy signed copies directly from June's website. She offers personalization and gift wrapping, too! When she reached the beach, Petra threw aside her sandals and sank her toes deep into the sand. Seeing there were low clouds on the horizon, she leaned back on her elbows, anticipating a spectacular sunset. The air was cool and the sand was still warm from baking under the sun all day. The breezes hinted at the island’s secrets as they flitted by, coating her skin with a fine mist from the sea. With a sigh, she closed her eyes, enjoying the last kiss of the sun before it descended into the ocean. This was the real reason she had come to the Islands. She would just have to find a way to enjoy the romance of Hawaii in spite of the frogs she may have to kiss along the way. Well, that's the update from here! I'd better get this posted before June finds me and makes me re write everything! I'm in! I'm on my way to get a copy of June's new book! ah ... so much to look forward to!